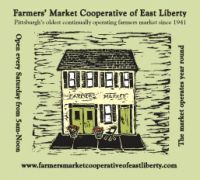 Buy up the Tastes of Summer and Fall this Saturday, 9-15! Posted 9/13/2018 8:08pm by Miranda Combs. We hope to see you on Saturday, September 15th! J L KENNEDY MEAT STAND offers you a variety of meats for your warm weekend grilling or game-watching, as well as fast and lean weeknight meals. LEAN STEAKBURGER PATTIES-sold in a frozen stack of 8 burgers - warm weather staple and higher cuts of beef in burger shape! SOME PASTURED HEN ROASTERS LEFT TO END SUMMER WITH!! WE START TAKING FRESH TURKEY/THANKSGIVING ORDERS IN 2 WEEKS! Lettuce, Tomatoes, Peppers & more!